The School of Media Technology Strategy is the foundation of effective communication tool-based knowledge and technology skills acquisition, ebbed to theoretical development and scientific research in LivingStone International University. 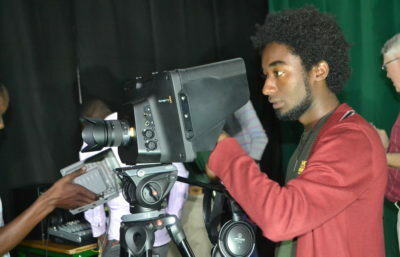 We are endowed with well-set Media Lab, Digital and Video Cameras; and the Media Studio project. Consequently, the school is extremely equipped with modern highly precision technology which enables students to do practical, develop projects throughout their period of study especially, Video Documentary, Movie shooting, Radio and Television production, programming and anchoring, Weekly Television News roundup, Advertising and Marketing. The School of Media Technology runs an Academic Newspaper “The LivingStone.” On Quarterly basis. This Newspaper is the tool for training writers of all categories in the University with special reference to print journalist students. The paper is produced and published by the entire body of students with only editorial and supervisory role played by Dean of the School.